Navachetana institutions work to promote financially sustainable social enterprises that generate long-term livelihood improvements for India's marginalized citizens. To accomplish this aim, Navachetana's organizational approach is to provide a comprehensive, integrated set of livelihood promotion services to poor individuals and families. 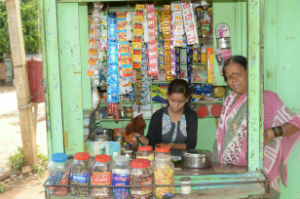 Promoting and strengthening Joint-Liability Groups (JLGs) of poor women and ensuring that these women have access to a range of financial services. Developing and integrating locally appropriate economic activities and trainings to increase incomes and skill sets of JLG members. Encouraging and nurturing the development of micro-enterprises initiated by JLG members through the provision of technical and marketing assistance. Designing and introducing large-scale profitable enterprises to ensure that livelihood advancements achieved by JLG members can be sustained. Providing high quality educational facilities to children of JLG members and to children of families of poor socioeconomic standing. Educating communities on efficient, effective methods for natural resource management. 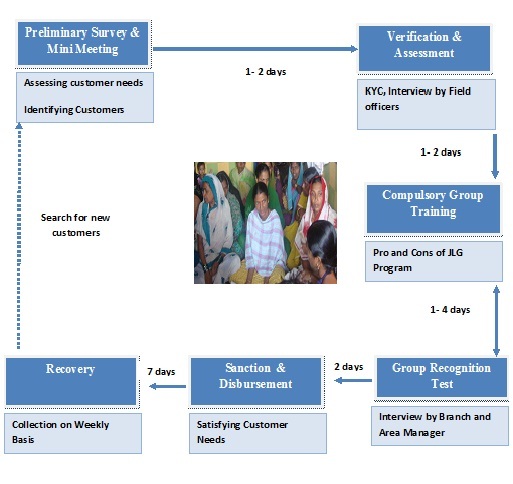 Navachetana Microfinance works on Joint Liability Group (JLG) model. Types of Loan Products: Income Generating Activities. Purpose of Loan: Services, Trade, Livestock and Consumption.